The Vision Lab helps companies transform by engaging employees. We quickly crowdsource ideas at scale. Leadership teams use our platform to ask employees one question at a time, focused on an issue critical to the the company’s strategy. TVL’s role is to crowdsource ideas from thousands of employee and prioritize them in real time for leaders to take action. 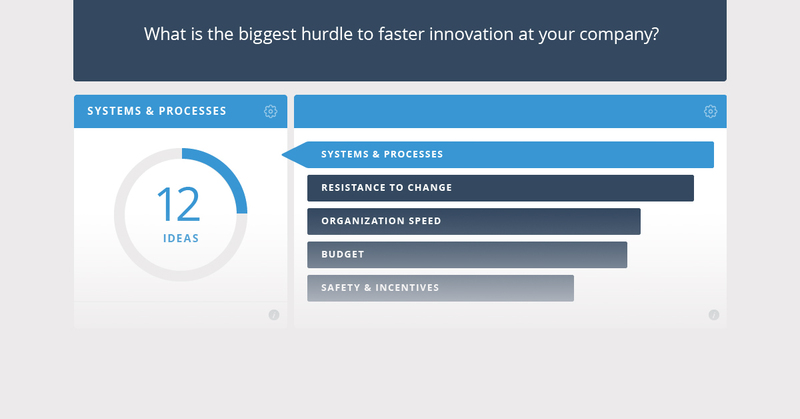 We’ve been busy adding new features that give leadership deeper insight into their employees’ ideas. Enterprise leadership teams are interested in deeper analysis of employee suggestions. 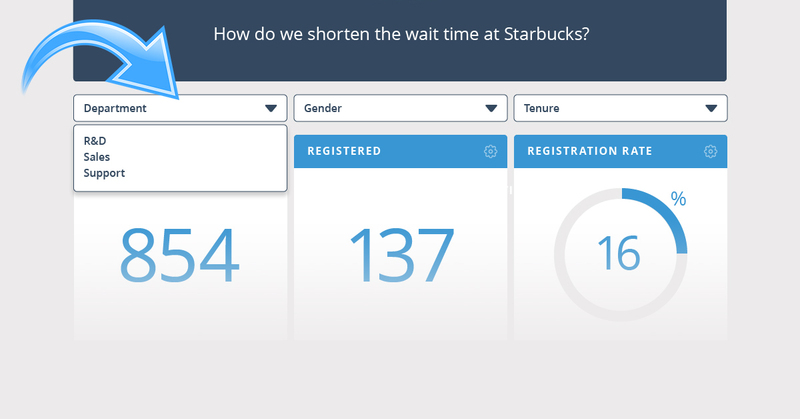 With that in mind, we have launched a powerful new demographics feature. Customers can now slice and dice responses based on employee demographics, e.g. gender, tenure, department, location, level in the business. Customers can compare a subset of employees to the whole organization and see lists of the responses that the demographic supported. This gives leaders a new perspective to identify regional, function or level trends within their employee base. When you gather thousands of ideas from employees, you are naturally left with duplicates, and the volume of ideas does not necessarily correspond to their importance. TVL has built a proprietary means to organize ideas into themes. Paired with employee voting and prioritization we can deliver the critical themes leaders need to focus on. Our new Themes view shows theme rank. Also, themes are quickly summarized in the words of employees. Below is a summary of themes from a public question. In this case, ideas relating to System and Processes had a higher win rate (56%) than any other group of ideas. The Themes view also shows the volume of ideas in each theme and lists actual ideas, so leadership can quickly add context and definition to a theme. Employees have a strong desire to improve and advance each other’s ideas. We have added commenting to each individual idea to allow this ability. 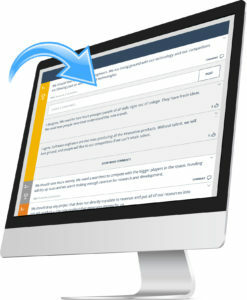 We are launching the ability for participants to comment on responses in real time. Management have used this feature to request more information from participants. Employees use it to explain why they agree or disagree with the response. Finally, we’ve made our engagement stats more visual: charts with engagement over time, maps that plot engagement by location, and more. All of these features complement our core value, which is to engage employees in a lightweight manner, give them a way to respond in their own words, and allow the whole group to rank responses. With TVL, leadership can crowdsource ideas from thousand of employees and end up with a ranked and organized list in days. Our data suggests that great ideas can come from anywhere in the organization. If you are interested in learning more, email us: info@thevisionlab.com. Also, you can create your own demo project here. Tom is VP Products of The Vision Lab, which helps companies transform by tapping into the wisdom of employees.